It was Thursday, and traffic was down, the streets relatively clear--everywhere but on Brian’s route. Brian’s bus traveled a route right through the center of the island, and on Thursday that route was jammed with cars and trucks and taxis as far as the eye could see. It was the stupid parade, every year the stupid parade was a massive headache for Brian, who drove that giant, articulated, double bus on the M7 route. Most days, he was king of the road, moving in and out of traffic without a problem, drivers around him scared to death by the size of the bus and the aggressiveness of his driving, everywhere he went. He was mean, and a bit of a bully--on the streets as he drove, and inside the bus with his passengers. On this day it was no different, in fact, maybe worse. As excited children and parents boarded the bus, balloons and stuffed dolls in hand, he scowled and glared at them and uttered nasty replies to their innocent questions about routes and fares, establishing his command over their lives during the ride on his bus. Smiles disappeared, and conversation became muted, especially as they watched his foul mood affect his driving. He leaned on the horn a lot, and used the sheer size of the bus to force his way across lanes of traffic, or block a line of cars from crossing the intersection, he cut off cars right and left to get the advantage on the road. He hated Thanksgiving, and all the fuss that was made of it. Maybe it was because of all the bad memories it brought back of his childhood, all the dysfunction of his parents and siblings. Maybe it was because it reminded him too vividly of the mess he had made of his own marriage, especially when he was surrounded by happy couples and their devoted children. If he had no power over that part of his life, at least he was in control of the road and the subjects who were his passengers. As he broke away from the curb, he sideswiped a small white car, whose driver slammed on the brakes out of fear, blocking the bus from moving in any direction at all. Brian’s first response was to lay on the loud horn---a long, obnoxious, unending honk. And then, out the window, a torrent of angry curses and yelling to the driver of the car. When there was no response, the little white car stopped dead in the road, Brian got out of the bus and stormed over to the driver. It was an elderly woman, white hair and very small, and she was upset and confused and paralyzed by the accident. He screamed at her at the top of his lungs, his face red with angry blood, his arms waving all over the place. She started to cry, tears streaming down her wrinkled cheeks, which made him even more mad. You shouldn’t even be driving, old woman, he said, get this crap of a car out of here, he said, cursing her up and down over and over again. Finally she found the strength to move the car into drive, and she maneuvered it back into traffic, and she drove away down the block. Brian returned to the bus, only to find that all his passengers were leaving, upset and disgusted by his treatment of the woman. On the way out, one said you ought to be ashamed of yourself, and another said he was going to report him. Go ahead, Brian yelled, reaching to turn on the Out of Service sign on the bus. That was it, he had had it. 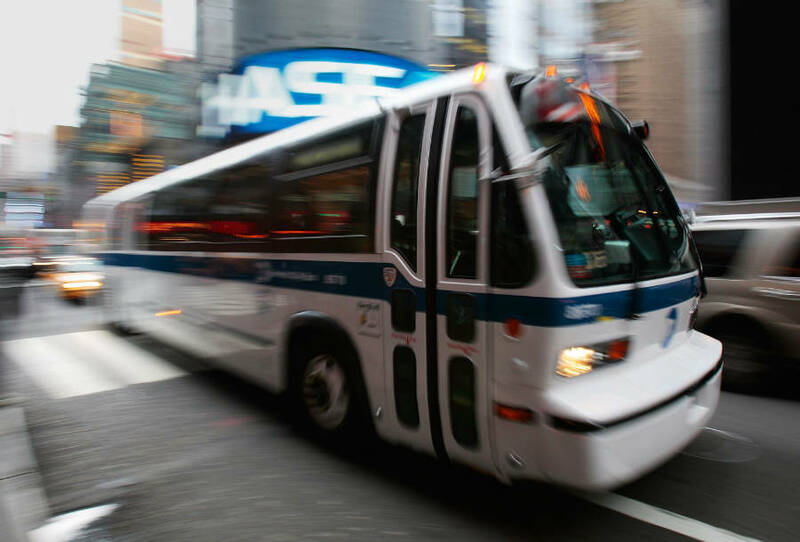 He threw the bus into gear and began to push his way off the route, angrily driving back to the bus depot in Queens. Over on the other side of the river, he got on a relatively empty street in the industrial section. His anger was beginning to subside, but he was still filled with bitterness. He thought about all the people in his life who had not met his expectations. In the midst of these driving thoughts, he was suddenly startled by a voice. “Where we going, dear heart?”. He turned his head, putting on the brakes. It was a woman, or was it a man, dressed in many layers of dirty clothing. He couldn’t tell if she was old or young. On her head was a small plastic golden crown, parts of it broken off, holes missing their fake jewels. “Where we going, sweetie?”, she said again to Brian, this huge toothless smile on her face. He had no idea where she came from, this homeless, crazy person. He didn’t see her enter the bus anywhere along the route. Brian pulled the bus over to the side of the empty street and stopped. The crown was a little crooked, and he noticed a small wooden cross hanging from her neck. “Who loves you, baby child?” she said to him. “Who loves you, I do, I do, I do, I do”, she said. And then she raised her finger and pointed it up and over, moving it right to Brian’s chest, and in a very ET-like voice she said, “And I’ll be right here, who loves you baby, I’ll be right here,” smiling that huge toothy smile right at him. She began to move down the stairs to the door. Brian reached for the button to open it. She had some difficulty walking down, but as she got to the bottom, she said, again “I do, I do, I do, I do”, and then she walked over to the sidewalk and down back behind the bus, wandering on her way somewhere. Brian sat there for a few minutes in the empty bus, feeling like he had been hit by a truck, fallen off a horse, shot out of a cannon. It was quiet in the bus, just the occasional sound of metal settling and cracking. That’s when his eyes fell upon the cross, lying in the stairwell. His eyes began to water, and then they filled up, and tears began to stream one-by-one down his face as his emotions flooded over him. Suddenly all these memories came back—all the hurts he had endured over the years, all the rejections, all his mistakes. He recognized the hardness, the cynicism in his heart, and his regret for all of it. For the first time in a very long time, someone—a crazy, homeless person, of all people—had told him that he was loved. “Who loves you, baby child?” she said to him. “Who loves you, I do, I do, I do, I do”, she said. 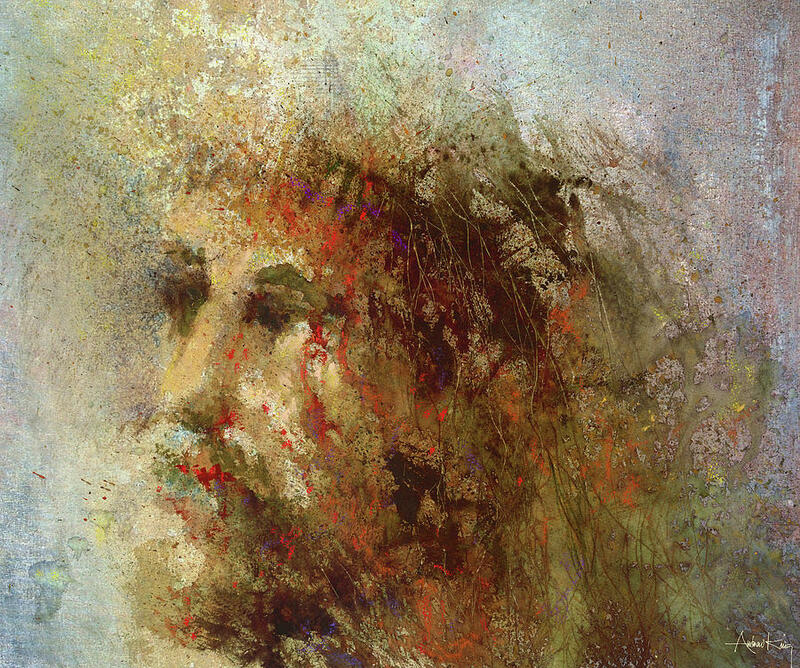 Jesus never really wore a crown—not even a broken, plastic one—he never had a red cape with fur around the collar. He never had a magic wand, never had a throne, never even had a country he could rule over or a people who would call him "Your Majesty", or "Sire" or ‘Sahib’. When he died, Pontius Pilate thought he was being funny by putting a sign on the cross, "King of the Jews". And yet he was king---of the Jews and everyone else, especially of those who were hungry and thirsty and naked and ill and those who were imprisoned in their own greed and selfishness, he was and is their king because what he rules is not a country with boundaries and borders but something that is as high and wide and deep as the universe itself, he is king of our hearts, and the power he exercises is the power of love. The power of love--which confounds the most selfish among us because it asks for nothing in return—love given freely, unconditionally, everlastingly. He is our king, and when we let him reign freely, he rules through us—touching everyone we go out of our way to love. And on his shoulder gently laid, And home rejoicing, brought me.